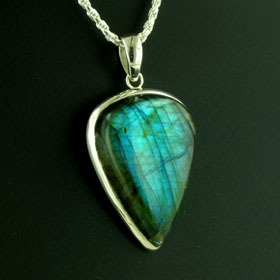 We choose our labradorite gemstones individually, looking for great labradorescence sometimes more blue toned, sometimes green toned. 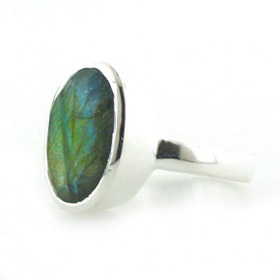 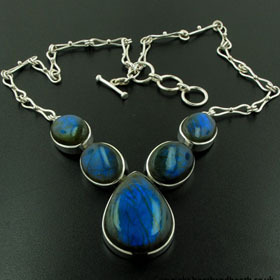 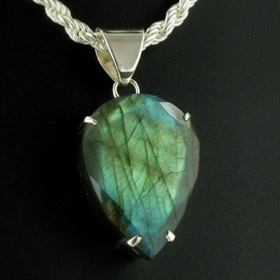 All our labradorite jewellery is set in sterling silver. 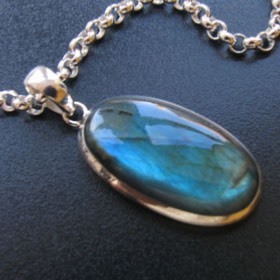 Find a labradorite pendant, labradorite necklace, labradorite earrings, labradorite bracelet and a labradorite ring below. 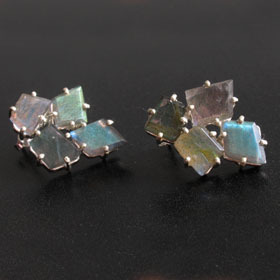 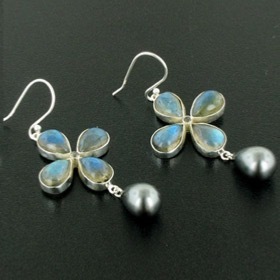 Labradorite silver jewellery is a favourite, loved for its beautiful changing colours and striking markings. 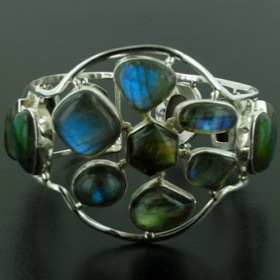 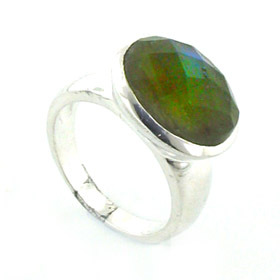 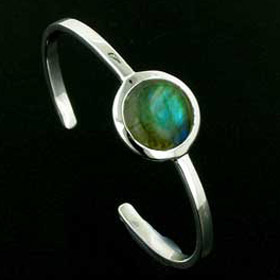 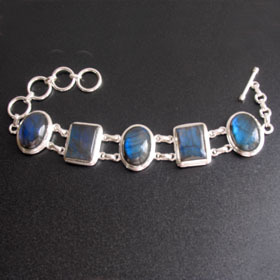 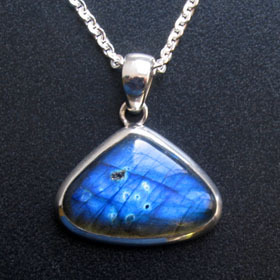 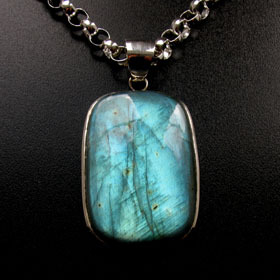 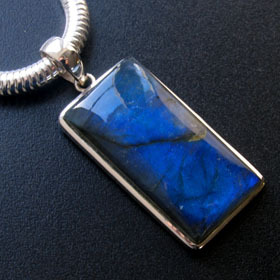 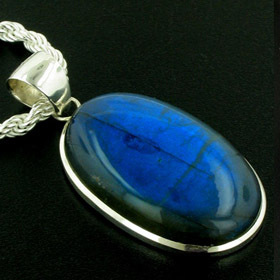 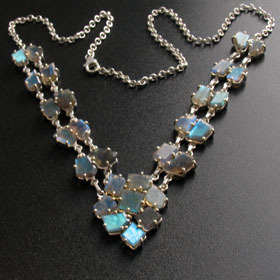 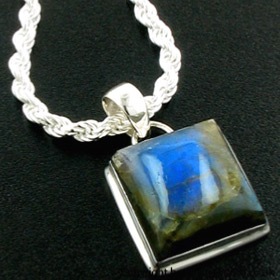 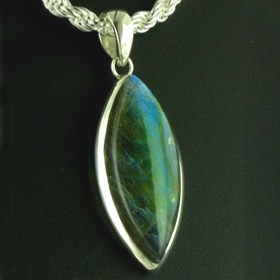 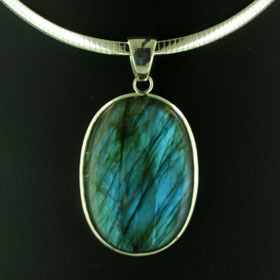 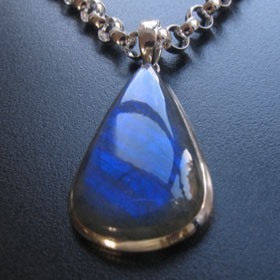 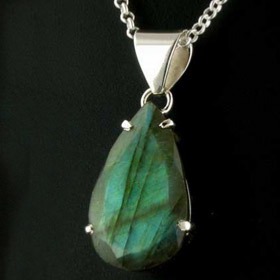 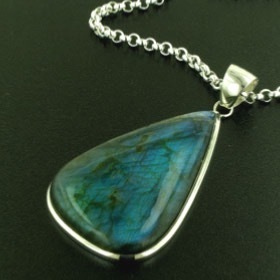 Labradorite jewellery is part of our gemstone jewellery collections.